To get started all you need to do is connect your smartphone/tablet to the same network as your Shield TV. The Android app requires Android OS 5.0 or above, the iOS app requires v 11.0 or later. 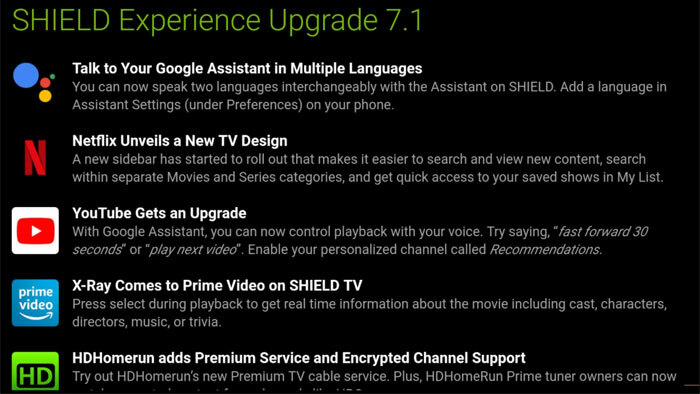 Both of the apps require that you have updated your Nvidia Shield TV to version 7.1 or later system software (Settings > About > System upgrade). 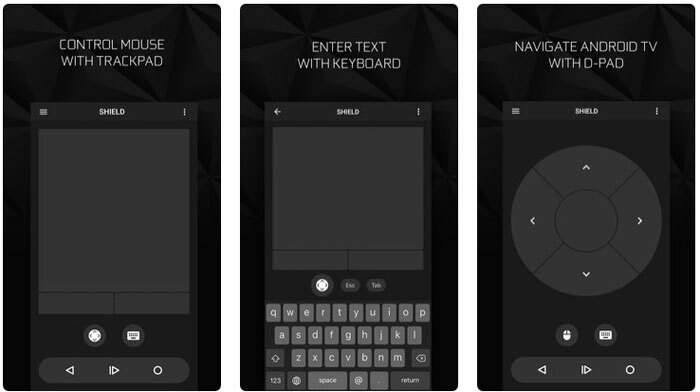 In-game voice chat support for communicating in top titles like Fortnite and PUBG (connect a headset to the 3.5mm controller in the Shield Controller). 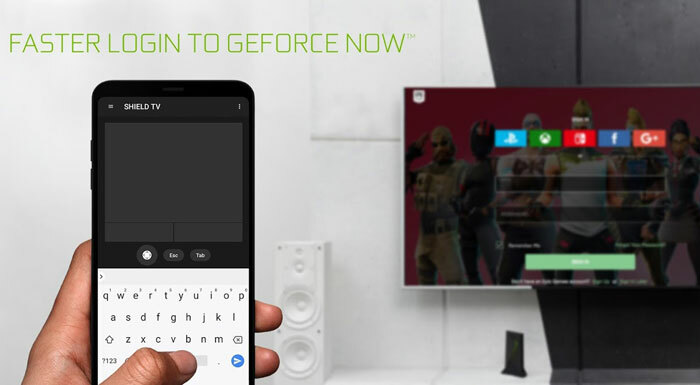 GeForce NOW keyboard and mouse experience improvements for PC favourites like Dota 2 and Counter-Strike: Global Offensive. Nvidia Share allows you to capture screenshots, record game highlights and stream your gameplay to Twitch (Enable in System > Settings). 120Hz modes for supported TVs and monitors. New power off, restart and sleep TV control methods. 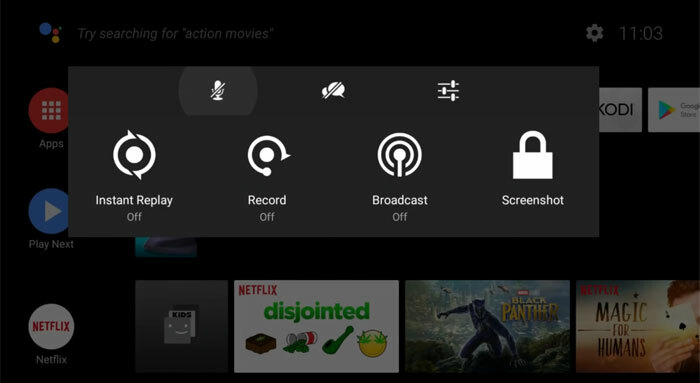 Other niceties in the software update are the Google Assistant with hands-free control and Samsung SmartThings; the new GeForce NOW beta service; HDR support for Nvidia GameStream, and in top apps like Netflix and Prime Video; the ability to watch and record live TV with Plex; the best YouTube experience with YouTube TV, YouTube 360 and YouTube Kids; support in the Amazon ecosystem with Amazon Music via Cast; support in the Apple ecosystem with iTunes Movies available in the Movies Anywhere app and iTunes Music available in the Google Music Manager. I am a fan of my Nvidia shield to has to be said, but the bluetooth range on it is very poor. i can't have it in the cupboard with my AV gear, nor tucked behind the TV. Means I have a very very discrete ‘'AV System’' with a blumin Shield poking up from behind the TV. Very disappointed in that. Just to let any of you who don't know, know; that image of “Instant Replay, Record, Broadcast, Screenshot” is practically a COPY PASTE of the AMD ReLive implementation, from not so long ago. Has the UI looked like this for a while? I'm not one of the Shield userbase, and yes Experience has had these features for ages but I was under the impression Experience's UI looked very different. App is surprisingly good IMHO. Bit of haptic feedback on controls would be nice though. Phones volume control is passed through nicely, and power/reset have been moved to root of settings - in last release some nugget decided to bury it a couple of levels down. Best thing though is the proper button. Never been able to clone it to a learning remote or 3rd party Android remote and was always a nut ache if Kodi locked up and needed to get back to Android. Never use original remote, which was always out of juice anyway.